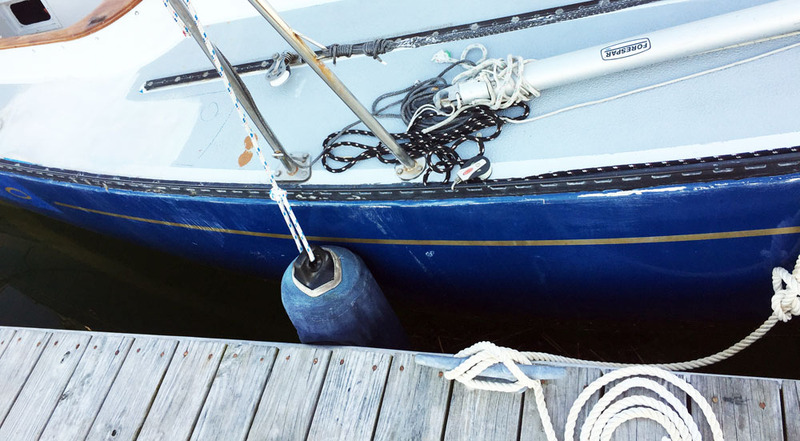 …trying to get rid of the ugly chipped topsides and rediscover our pretty little boat! And now I *finally* get to post some beloved after pictures! Despite the bugs and the hours (and hours, and hours) of sanding, we’re *really* happy with how the Alexseal turned out — we used their complete system, including primer and topcoat. 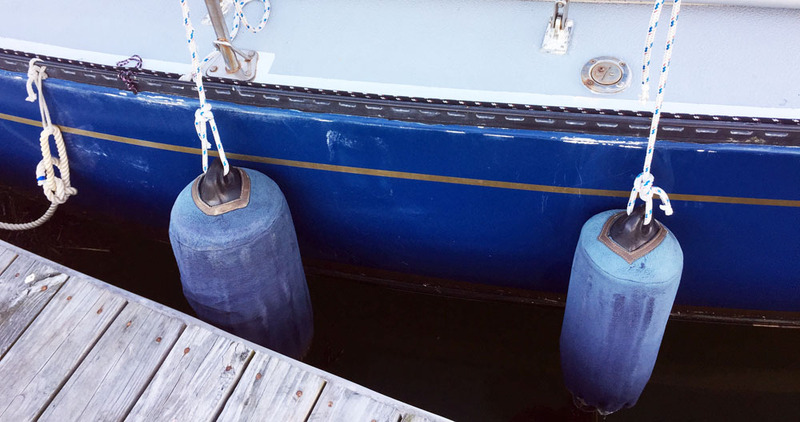 Jon painted the whole boat with a 6″ foam roller, and the Alexseal leveled beautifully. 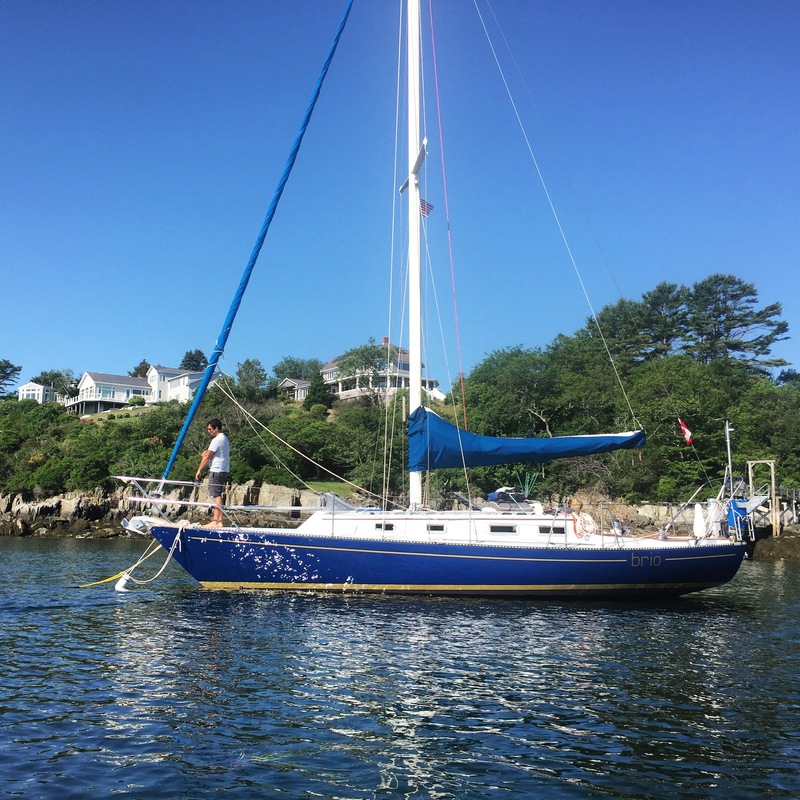 Now it’s time to enjoy summer sailing in Maine! Wait! Did you roll and tip, or just roll?? Just roll! We went through probably 30+ rollers (they don’t hold up very well) but the foam rollers did a beautiful job of laying out the paint with zero tipping required. How did you get the paint so glossy? 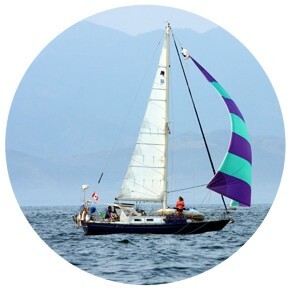 Also, did you paint the boat name, or is it vinyl lettering? 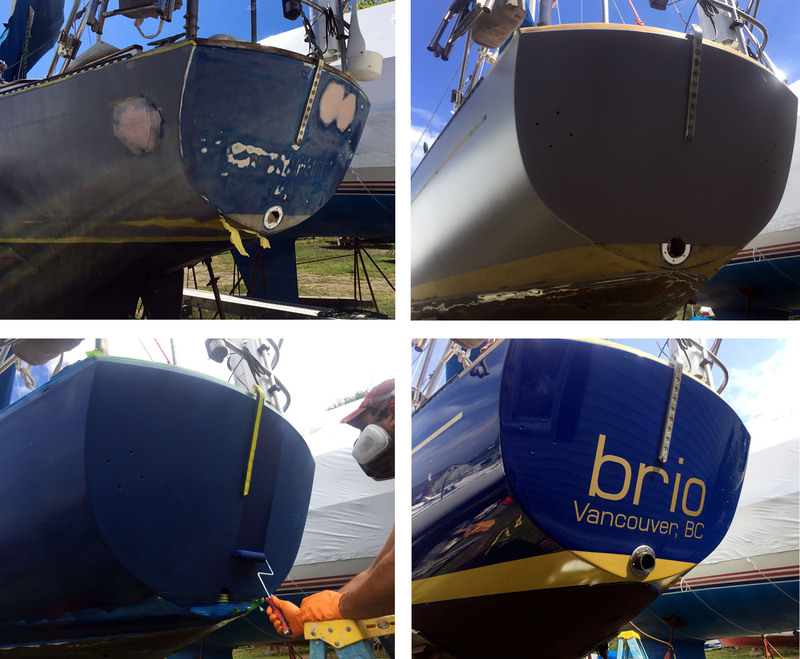 Hey Ben – I don’t think we can take any credit for the paint being so glossy — it comes that way! Jon did do a LOT of priming and sanding so the hull was super smooth before we started the finish coats. And we sanded in between coats (3 finish coats total). The name is a vinyl sticker that we had made – it’s a similar sparkly gold which was great! Thanks! You guys saved a fortune in labor just in sanding alone!